Whatever your take on 2018, it was undeniably a memorable year. The lows: World Cup woes, the seemingly never-ending ‘Beast from the East’ and Russian spies up to no good, were tempered with unforgettable highs: a Royal Wedding, an unprecedented summer heatwave and dancing politicians. As always, our focus is on sparkling events and, fortunately, 2018 provided many talking points in the world of Champagne. Last year we welcomed some of the most exciting new releases of the century, as a range of prestige cuvées from 2008 hit the market. We also saw entirely new champagnes; a record-breaking harvest; re-releases of old classics; multiple new vintages; a first for English Sparkling Wine; and a medley of stunning tasting events. Below, we highlight the biggest champagne news stories in 2018, presented by brand in alphabetical order. 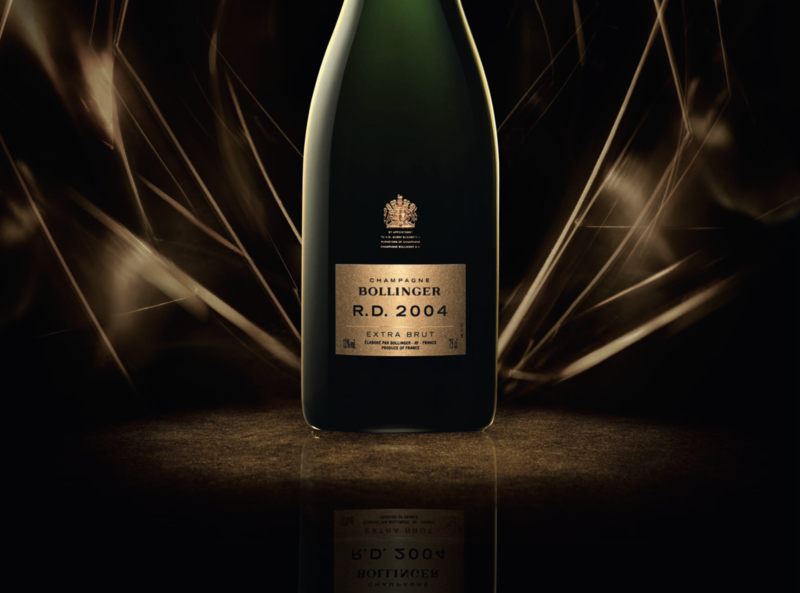 After spending more than 12 years maturing on the lees, Bollinger R.D. 2004 was finally launched in March 2018. We tasted it from magnum at the exclusive launch event in London and were blown away by its richness and abundance of juicy dried fruits. Although still quite tight at present, this is a stunning R.D. which promises to reveal more and more as it unravels over the coming years. 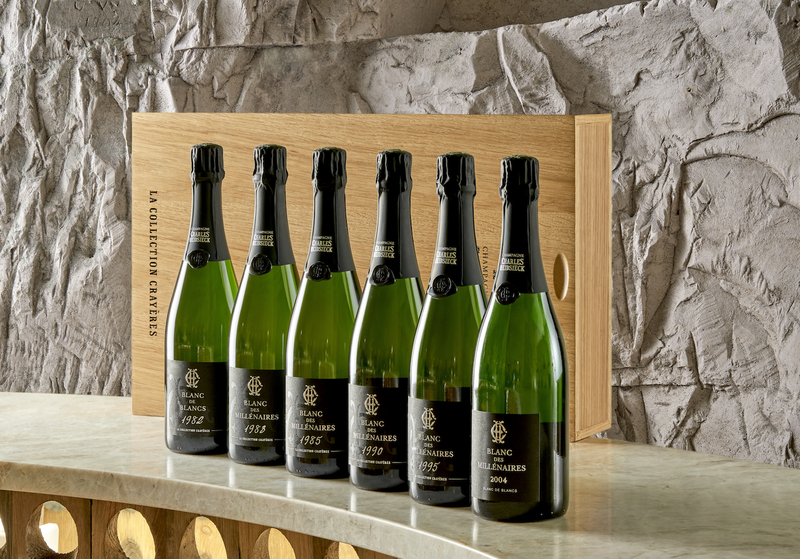 A big year for Charles Heidsieck started with a bang: the long-awaited Charles Heidsieck Blanc des Millénaires 2004 hit the market in mid-January. The character of the house and, specifically, this ultra-rare cuvée (2004 is just the fifth vintage of Blanc des Millénaires produced since it launched over 25 years ago), are perfectly represented by this latest release. A strikingly yellow-green champagne, showcasing all the delicious Chardonnay fruit for which the brand is famous; accessible now but destined for incredible ageing. Just a few months later, the house were celebrating again: the occasion this time, the release of brand new champagne Charles Heidsieck Blanc de Blancs NV. A tribute to the legacy of Chardonnay at Charles Heidsieck (they began producing Blanc de Blancs in 1947, the second house ever to do so), the first release is based on the stunning 2012 harvest and is a pure, elegant and well-balanced non-vintage. Finally, a remarkable year was rounded off with the second unveiling of Collection Crayères, an annual release of treasured old vintages stored under perfect conditions in the underground cellars in Reims. The 2018 Collection is a Blanc des Millénaires vertical, including all five vintages from 1983-2004, and an additional extremely rare release of Blanc de Blancs 1979, 1981, and 1982. We managed to secure a limited number of these treasures, which can be purchased as individual bottles or as a collection, here. One of the biggest champagne news stories of the year came, fittingly, from one of the biggest brands in the region. In June 2018, Dom Pérignon invited connoisseurs from all over the world to a ceremony in Hautvillers, the birthplace of Dom Pérignon, to announce the retirement of Chef de Cave and champagne legend Richard Geoffroy. After an unprecedented 28 years at the helm of the most famous champagne brand, Geoffroy officially stepped down in January 2019, handing the reins to his successor, Vincent Chaperon. 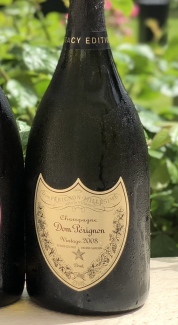 To celebrate the transition of Chef de Cave, the house also revealed they would be releasing a very limited number of a special edition champagne, Dom Pérignon Legacy Edition 2008. Whilst the champagne inside the bottle is the same as the regular release (launched in January 2019), the Legacy Edition was disgorged a few months earlier and has a specially designed label featuring both winemakers’ names. Last year was a unique one for Krug, who made the decision to release two Editions of Grande Cuvée in the same year. Krug Grande Cuvée Edition 165 NV, ‘based’ on the 2009 vintage, arrived in February 2018 and was the smallest and rarest batch of Grande Cuvée ever – a result of the global economic crisis that occurred nearly a decade ago. 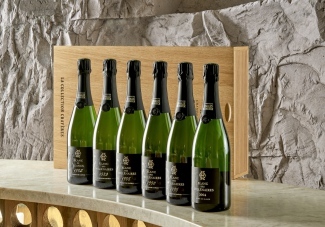 Consequently, Krug Grande Cuvée 166 NV, a majority 2010 vintage, was released just a few months later. At 42%, Edition 166 NV has the joint-highest reserve wine content of any Grande Cuvée released this century, giving it a richness and maturity not typically seen in such young champagnes. In 2018, it was also revealed that Krug Rosé will henceforth display its Edition, with Krug Rosé Edition 21 NV – based on the outstanding 2008 vintage and released in February – being the first. Louis Roederer and their charming frontman, Jean-Baptiste Lécaillon, rarely have a quiet year and 2018 was no exception. When the house announced the release of long-awaited Louis Roederer Cristal 2008 in June, the market went into a frenzy. Our pre-release allocation sold out almost immediately, driving the price up for the main release, which followed in September. With Lécaillon describing it as “the most Cristal of all Cristal’s”, it is unsurprising that Cristal 2008 captured the attention of the wine trade for so long. The house also revealed re-releases of their most successful champagnes, Louis Roederer Cristal 2002 Re-Release and Louis Roederer Cristal Rosé 2002 Re-Release. Crucially, the re-releases are original disgorgements, kept under perfect conditions in the cellars in Reims after first release, and thus have had more than 9 years of post-disgorgment ageing. Although it hardly seems possible, these unbeatable champagnes have taken on a new dimension of complexity, whilst retaining all of their youthful vigour – truly special bottles of fizz. In September 2018, Louis Roederer were in the news again, after dominating the Champagne and Sparkling Wine World Championships for the fourth year running. The house took home no fewer than 9 major trophies, including the coveted Sparkling Wine Producer of the Year 2018 and Supreme World Champion 2018 (for Brut Premier NV Magnum) awards. Although our focus is on Champagne, we also stock some of the very best English sparkling wines, which also received considerable media attention in 2018. The major news story came in September, when pioneering producer, Nyetimber, revealed their new prestige cuvée range ‘1086’: the result of a 10-year project to produce an English sparkling wine that rivals the very best of Champagne, both in quality and price tag. The two champagnes, 1086 2009 and 1086 Rosé 2010, caused quite a stir for several weeks. 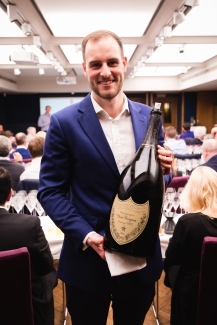 We were so impressed with the range we decided to blind taste them against a selection of prestige cuvée champagnes alongside a panel of experts, including Jancis Robinson MW, and the results proved promising for Nyetimber: 1086 2009 placed third overall. The previous 12 months brought significant change for Piper-Heidsieck, who welcomed a new Chef de Cave in Émilien Boutillat, and announced that their prestige cuvée, Rare Champagne, will become its own brand, no longer to be sold under the Piper-Heidsieck label. Champagne veteran and previous Piper-Heidsieck Chef de Cave, Régis Camus, has consequently taken over as Cellar Master of Rare Champagne and made waves almost immediately with the release of ultra-prestige cuvée, Rare Le Secret, featuring jewels from the world’s oldest jewellery dynasty, Mellerio. Sir Winston Churchill’s favourite champagne house revealed two big releases last year. In February, they launched the latest iteration of their vintage-tier champagne, Pol Roger Brut Vintage 2009. We found it to be similar in style to Pol Roger 2004 – delicate, well-balanced and an all-round palate-pleaser. Pol Roger’s big news came later in the year, with the release of Sir Winston Churchill 2008 in October. It was received warmly at the launch event in London, which isn’t surprising considering the house had previously commented: “Our Cuvée Sir Winston Churchill 2008 is the best vintage since 1988 and the most investible Churchill we’ve ever made.” We couldn’t agree more. Taittinger also launched two new champagnes in 2018: their vintage champagne transitioned to Brut Vintage 2012 and their prestige cuvée moved to Comtes de Champagne 2007. The Brut Vintage 2012 has been a consistent favourite at our tasting events throughout the year, particularly from magnum, further solidifying the already high expectations for the 2012 vintage. Comtes 2007 marks the fourth consecutive vintage since Comtes 2004 and is quite open already, full of rich pineapple, guava and bright grapefruit loveliness. One to watch for the future! 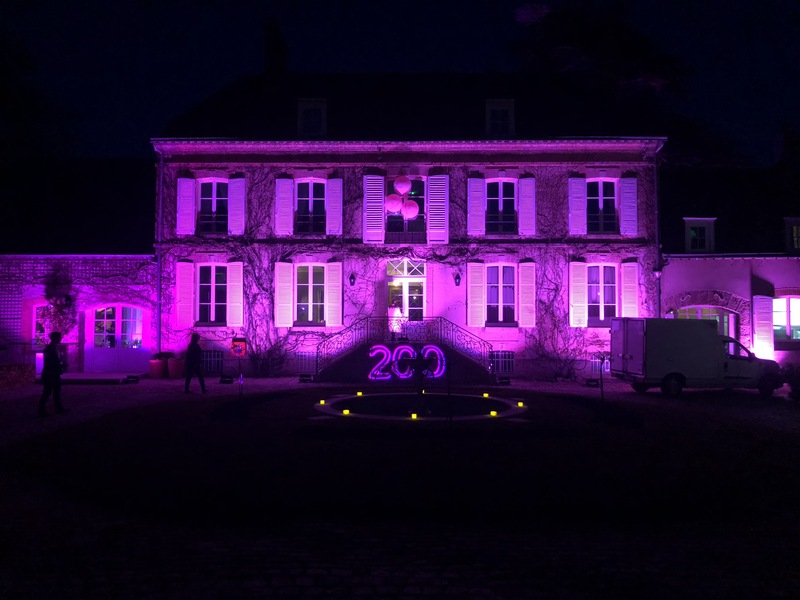 2018 was a milestone year for Veuve Clicquot, who commemorated the 200th anniversary since Madame Clicquot invented blended rosé champagne with a week-long celebration at the famous Manoir de Verzy, complete with the first ever Jeroboam of Veuve Clicquot Rosé NV. Cheers! 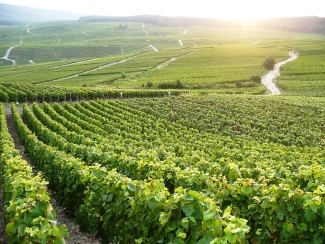 With record-breaking rainfall in the winter, unprecedented sunshine hours in the spring and summer and the earliest harvest on record, the 2018 harvest in Champagne was a truly exceptional occurrence, with fizz fanatics the world over keeping a careful on the Reims weather forecast throughout late-August and September. Although the Comité Champagne set the official start of the harvest as Monday 20th August, the first vineyard was actually picked on Friday 17th August, by Champagne Andre Beaufort in Ambonnay, making it the earliest harvest on record. The work now lies with the producers to guide the wines into developing their full potential. If there are no surprises and the wines are as promising as the grapes that produced them, then 2018 could well be the vintage of the century. See here for comments on the vintage from a selection of Champagne’s top winemakers. 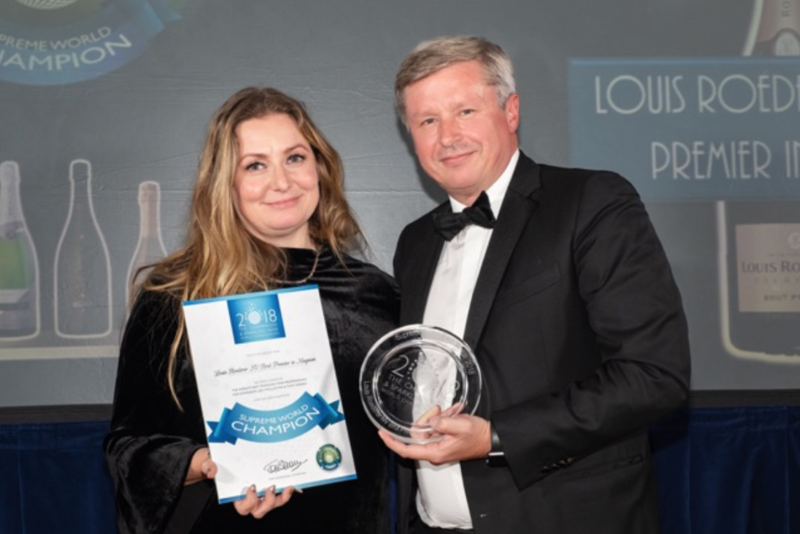 The Champagne and Sparkling Wine World Championships 2018 was once again one of the biggest evenings of the sparkling wine calendar last year, with top winemakers and connoisseurs from all over the world attending the awards ceremony in October. Louis Roederer reigned supreme, however other notable winners include Dom Pérignon, Moët & Chandon, Piper-Heidsieck, and Ruinart. We were lucky enough to attend the event, see our write-up of the evening, including a list of all the champagne winners, here. During our many visits to champagne over 2018; our multiple tastings with winemakers from both growers and the big brands; our analyses of new and old releases throughout the year; and in all of our consequent write-ups, we’ve focused more than ever on the technological side of champagne winemaking. Early in the year, we wrote a comprehensive report on the rise of technological corks in champagne. Such corks, treated to a supercritical carbon dioxide extraction process, have been proven to eliminate TCA (‘cork taint’) and ensure bottle to bottle consistency. As such, a number of the bigger champagne houses, including Billecart-Salmon, Charles Heidsieck, Moët & Chandon and Piper-Heidsieck are now closing their champagne with technological corks, a move we wholeheartedly support. Equally effective at guaranteeing bottle consistency is the technique of jetting, in which a micro-jet of water (usually mixed with sulphites) is squirted into a bottle at high speed immediately after disgorgement to prevent oxygen from getting into the bottle. As we talk to more and more winemakers, it is clear this technique is becoming more popular, but is not yet widespread. Hopefully 2019 will see a further push in the direction of technological aids that ensure the liquid we love so much tastes exactly as it should when opened. Finally, 2018 was an extremely busy and successful year for a little known champagne retailer in London… The Finest Bubble! Our busiest year yet saw us travelling all over London to host various tasting events, both private and public, aimed at every level of champagne drinker, from the beginners, the connoisseurs, and to the full-blown addicts (namely, us!). In addition to our usual range tastings, last year we added some intermediate masterclasses, aimed at those wanting to gain a firmer understanding of the different champagne styles and the ageing process, in a relaxed and informal environment. Expect to see more of these in 2019, beginning with our Range Tasting on Weds 20th March. We also hosted several more formal events – opportunities to sample some of the very best champagnes currently on offer – including two Krug Grande Cuvée Vertical Tastings; a Louis Roederer Cristal Vertical Tasting; a Charles Heidsieck Tasting and Dinner hosted by Director Stephen Leroux; a comprehensive Vintage 2008 vs Vintage 2009 comparison hosted by Jancis Robinson MW; and of course, the champagne tasting event of the year, the once-in-a-lifetime Dom Pérignon Vertical: A Richard Geoffroy Retrospective, taking in 23 Dom Pérignon champagnes presented by the great man himself and his successor, Vincent Chaperon. As always, we travelled to Champagne as many times as possible last year, most notably for our 2017 Vins Clairs report (which involved visiting 13 houses in 4 days!) and for an unforgettable weekend-tasting of 88 Champagnes from 1988 hosted by Champagne nut Peter Crawford. A busy year it may have been, but our efforts felt more than worthwhile in September, when we awarded the title of Champagne and Sparkling Specialist of the Year 2018 at the Decanter Retailer Awards. As such, we owe a sincere thank you to everyone who continued to support us last year and we look forward to seeing both old friends and meeting fresh faces at champagne tasting events throughout 2019. 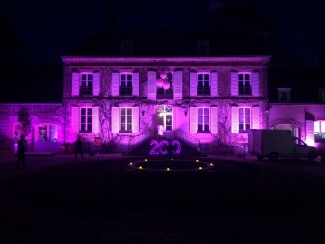 The Veuve Clicquot 200th anniversary of blended rosé champagne: a night to remember! Harvest 2018: the vintage of the century? What a way to end the year… a Dom Pérignon Vertical and a Methuselah of 2002!